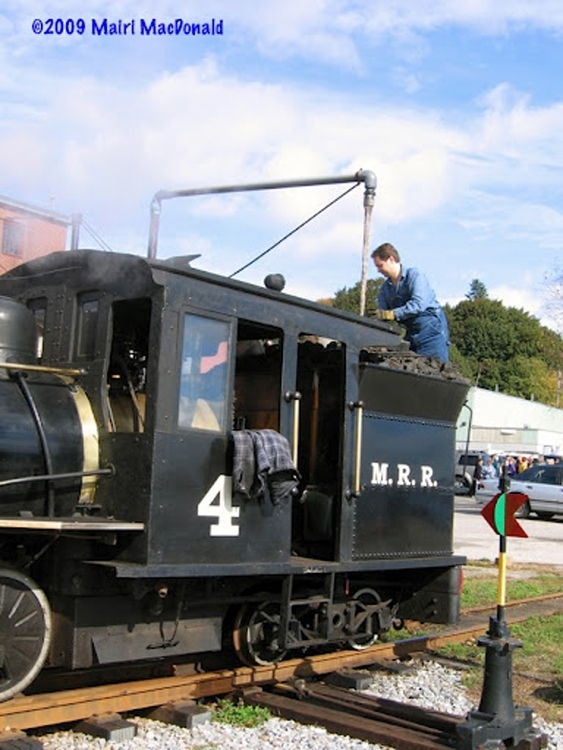 FAQ editor Trevor Marshall filling the tank on Monson Railroad 4 at the Maine Narrow Gauge Railroad Company and Museum in Portland, Maine in 2009 – using the water crane he financed and helped build. In July 2014 Trevor told the story of he and his friend Pierre Oliver built a functioning full size water crane for the Museum. Click here for the full story.